Sometimes it’s interesting how similar baseball and the Christian life are. The marketing for this year’s postseason baseball run includes an interesting ad. The name of the campaign is “Rewrite the Rules” and ends with Ken Griffey, Jr. saying, “Let the kids play.” The video juxtaposes the unwritten rules of baseball with players of today breaking those rules. Everyone in the game understands why Griffey represents an appropriate finish to the ad. His backward hat was a symbol of rebellion in the 1990s and he changed the game in so many ways, particularly in what was and was not acceptable. Being a child of the ‘90s and a Griffey guy back in the day (one of my first and wisest Rotisserie Baseball investments), I remember how his Griffey’s very existence seemed to make my dad’s blood boil. 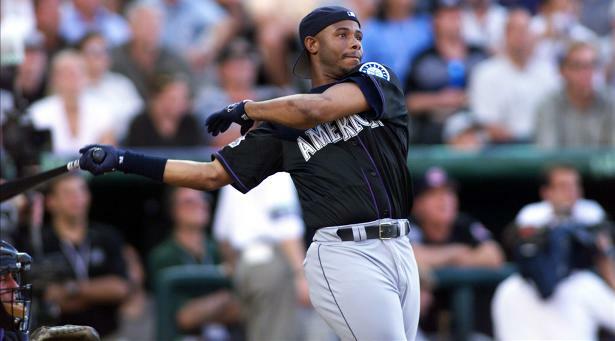 Griffey had that effect on the previous generation, but also ushered in a new generation of baseball ettiequte. Traditions matter and they die hard. The Apostle Paul encountered the same thing in the early church, specifically in The Council of Jerusalem in Acts 15. In Acts 15:1, the Bible says, “Certain people came down from Judea to Antioch and were teaching the believers: ‘Unless you are circumcised, according to the custom taught by Moses, you cannot be saved.’” Those who fit into the traditions of the pre-Jesus Jewish movement wanted to impose their traditions onto those new believers who were choosing the follow Christ. Those debates were lively in the early church as Paul and the apostles spread the Gospel of Christ throughout the Mediterranean and Middle East. Just as lively is the debate around how the game of baseball should be played. The generation before attempts to tell the next generation how things “should” be done. While some tend to be more conservative in their approach, I tend to stress freedom for the players. I love expressions of joy and excitement on the field. I love new generations of thought giving the game a totally different flavor. In both baseball and the Christian life, I’d encourage us to listen to the next generation. We don’t want to sway in the wind and move traditions easily, yet we also don’t want to get stuck in the mud and live by “that’s-how-we’ve-always-done-it” thinking. We should always be open to examine ourselves and seek to move the things we love closer to the essence of Christ.